All Posts in "machine learning"
What’s trending: Big Data vs Machine Learning vs Deep Learning? If you’re new to Analytics, you might encounter too many topics to explore in this particular field starting from Reports, Dashboards, Business Intelligence to Data Visualization to Data Analytics, Big Data to AI, Machine Learning, Deep Learning. The list is incredibly overwhelming for a newbie to begin his/her journey. 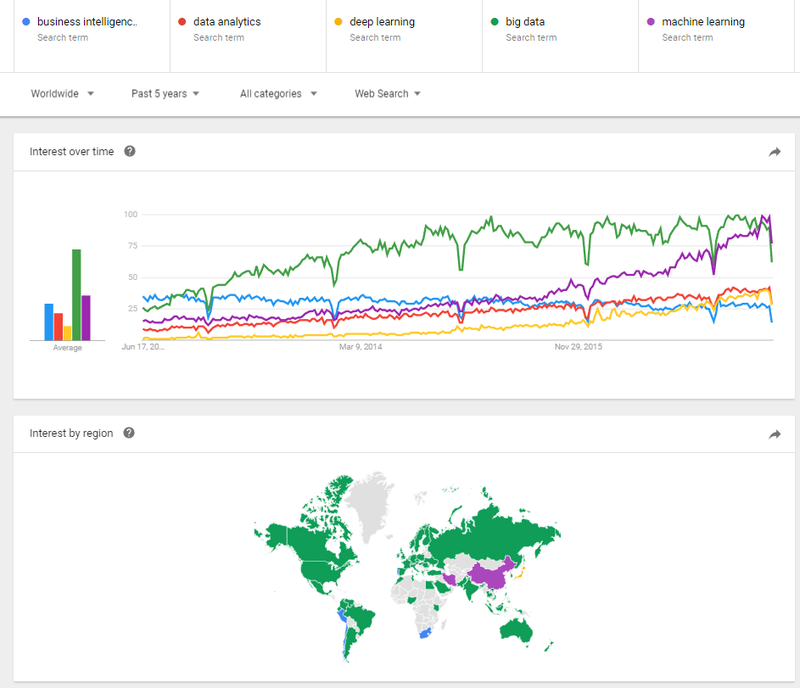 I really wanted to rank and check which one is currently trending relative to each topic among these five buzzwords: “Business Intelligence”, “Data Analytics”, “Big Data”, “Machine Learning”, “Deep Learning”. I made use of my favorite Google Trends tool for my reference purpose. I’m interested to assess based on the worldwide data for last 5 years using “Google” search engine queries as the prime source. Big Data stayed at the top of the users’ mind for quite long time since 2012. However, Machine Learning is soaring higher from 2015, and it could potentially overtake Big Data in a year as the “hottest” skill-set to have for any aspiring Analytics professional. 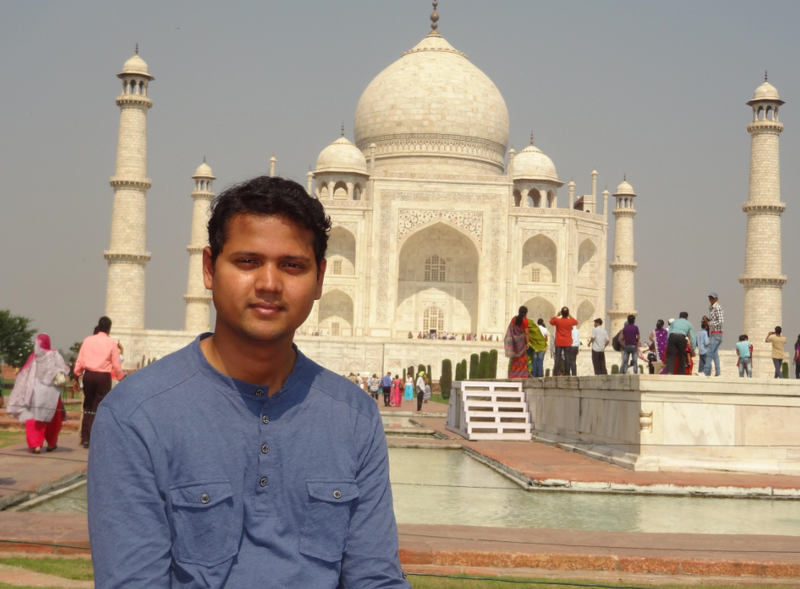 Deep Learning is an emerging space! It would eventually gain more momentum in 1 year from now. It’s essential to gain the knowledge of Machine Learning concepts prior to learning about Deep Learning. Needless to say, Data Analytics field is also growing moderately. For beginners, this could be the best area to begin your journey. BI space is starting to lose out its focus among the users thanks to self-service BI portals (and automation of building reports/dashboards), Advanced Analytics. 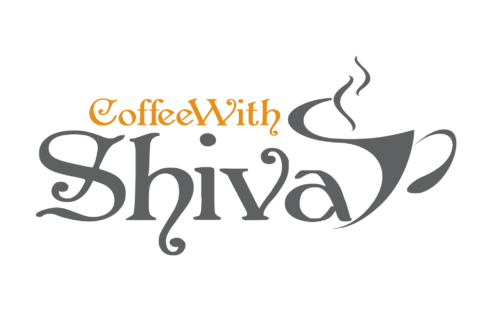 I happened to see few additional interesting insights when I drilled it down at the industry-wise. Users interest by Region says that China is keen on Machine Learning field and Japan on Deep Learning. Overall, Big Data still spread all over the world as the hot-topic for time being. Based on the above graphs, it’s quite evident that Machine Learning would turn out to be the top-most skill set for any Analytics professional to have at his/her kitty. You can go through this Forbes article to understand the differences between Machine Learning and Deep Learning at a high level. 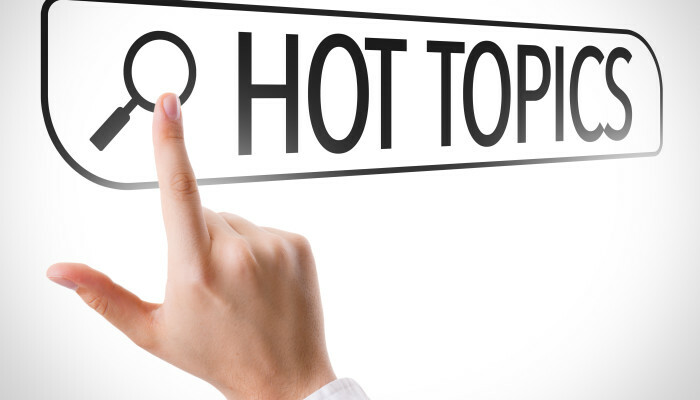 Pls let me know what you think would be the hottest topic of interest in the Analytics spectrum. Data analysis of any sort requires cleaning and formatting the data. Predominantly, Microsoft Excel spreadsheet can be used for that matter. The source of data could be from multiple upstream systems! It’s highly unlikely that you would just get the data ready for further processing. A fashion based e-commerce startup wants to identify which top 3 cities in a specific country has returned back the maximum products to their retailers. The company then might be interested to scrutinize the problems faced by its customers, and takes key decisions to minimize the returns or strengthens the returns policy to prevent the losses incurred by the same. The returns team of that company maintains one relevant field by the name: “Address”. 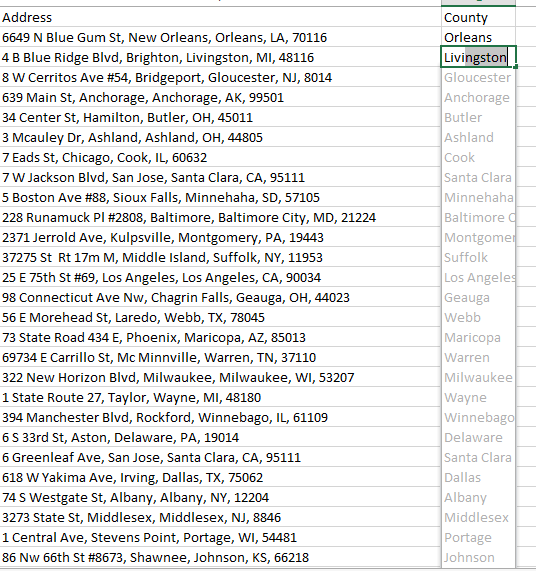 In the excel sheet, it would be a manual and repetitive task to extract the City/State/Pincode from the Address. Of course, one can use the combination of MID, FIND kind of formulas to extract what we want to an extent. Well, there’s still a better way in Microsoft Excel 2013 and above versions. It’s called “Flash Fill” concept designed by Dr. Sumit Gulwani, Microsoft Researcher. This is a machine learning algorithm and discovers patterns based on a couple of data examples and populates the remaining data using what it had learned! This is a great deal of time saver for many cases. I’ll highlight an example below. 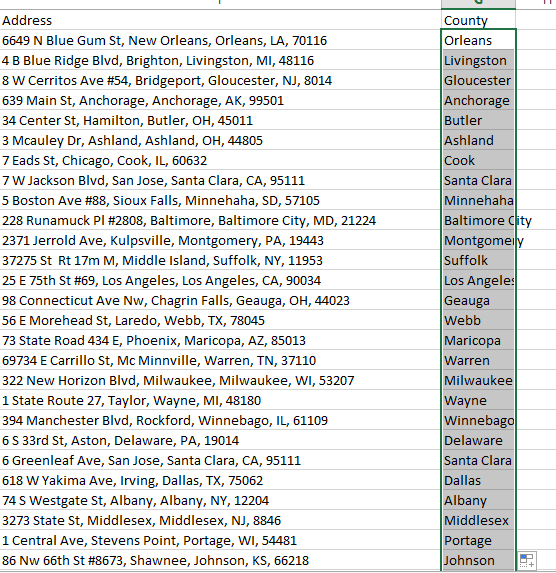 Using the available Address, we can now extract County/City/State/Pincode using Flash Fill feature. Create a new field/variable and name it. I created “County” for my requirement. 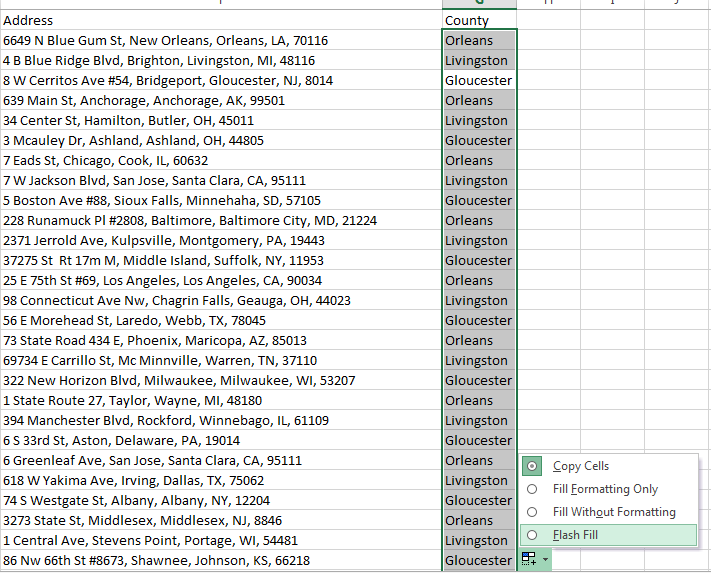 I just typed three records manually such as Orleans, Livingston, Gloucester. Then, I highlighted these three and dragged the text until the end of the records. You can see below that it just replicated the three words repeatedly. At the end of this screenshot, you can see a tab that appeared to enable you to choose few more options. Click “Flash Fill” and see the magic for yourself :). 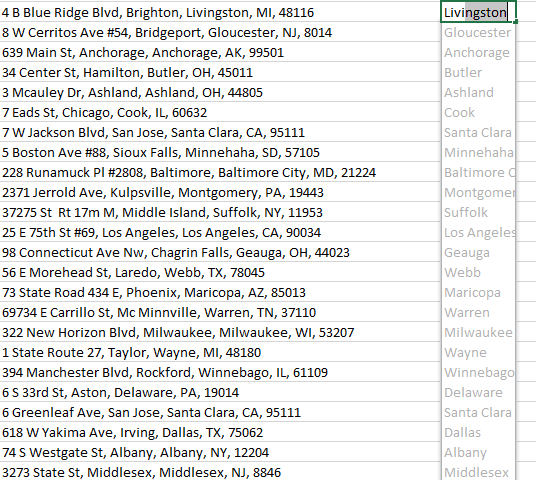 It has identified the pattern that I’m interested to extract only the County information from the Address field. You can similarly try to extract other key info such as State, Pincode. In certain cases, the Flash Fill automatically pops-up and recommends while you type the sample data as per below. You can apply Flash Fill to format your number such as Telephone number, Social Security Number etc. to name a few. If it fails to identify pattern in your case, educate it by typing few more examples for “Flash Fill” to learn from it. Usually, I type 2 or 3 examples and the algorithm picks up thereafter for the remaining data. In the above example, I had a separator such as comma to differentiate the county, state, pincode info in the Address field. So, it became pretty easier for “Flash Fill”. Alternatively, you can iterate few more times to clean the data as per your wish. Data Extraction Limitations of Radian6, Sysomos That You Need To Know! Karthikeyan A very interesting article ! !